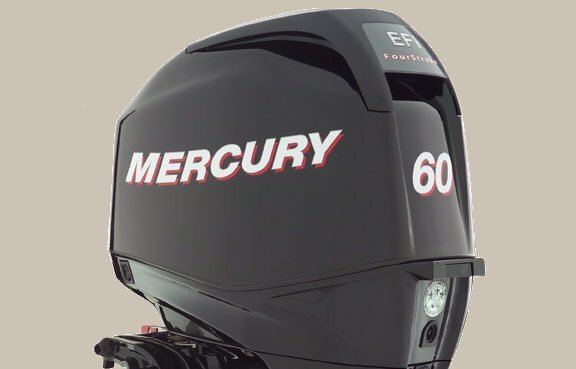 Mercury FourStrokes have long led the pack with clean, quiet, fuel-efficient outboard power, and now the gap grows even wider. Whether you pilot a small fishing boat or a party on a big pontoon, there’s a Mercury FourStroke that fits the bill. The 40, 50 and 60hp models are available with either standard or BigFoot gearcases. BigFoot models are perfect for pontoons and large boats, while the standard gearcases are ideal for aluminum fishing boats, bay boats, and inflatable boats. No matter the size, these FourStroke outboards are a pleasure to drive. Mercury engineers have created a unique design for easier shifting and refined the throttle resolution setting for smoother low-speed operation. Plus, every 40-60hp FourStroke features a single-latch cowl system for easy, quick release.